The Blue Nylon Post-Op Shoe provides increased protection and comfort following post-operative procedures and forefoot injuries. 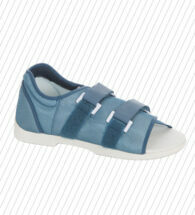 Extended straps accommodate various dressing widths. Off-loads the heel by shifting weight to the mid-foot. Square toe design provides better left/right fit. 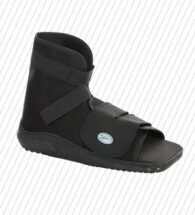 Patented metatarsal shank provides forefoot control. 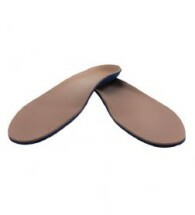 Reinforced, padded heel grips the foot, reducing slippage. 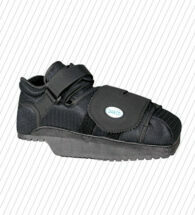 Square toe design provides protection and better left/right fit. 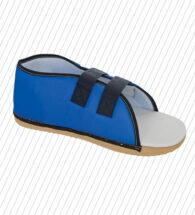 Ankle strap seats the foot firmly in the sole and prevents heel friction. Off-loads the toe by shifting weight to the mid-foot. 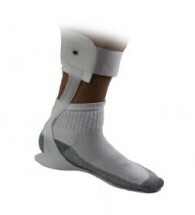 Excellent for use with fiberglass casts or bulky compression bandages. 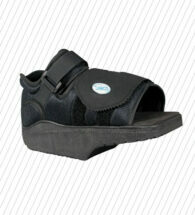 Square toe design acts as a protective bumper and gives patient more room. Left/right closure for ease of fastening. 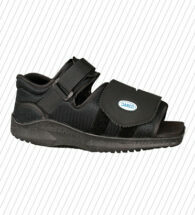 The Dr628 is a full length foot orthotic made to protect the feet of individualswho are in danger of skin breakdown and ulceration due to diabetes or lack of sensation in the extremities. This dual density diabetic insert is heat moldable at temperatures of 230 degrees Fahrenheit or higher.